If the sales for the Nintendo DS and on the Wii’s Virtual Console are any indication, there’s still a large market for old-school gaming. All Nintendo needs to do is re-release one of their 16-bit successes like Super Mario World, and fans will eagerly purchase them. 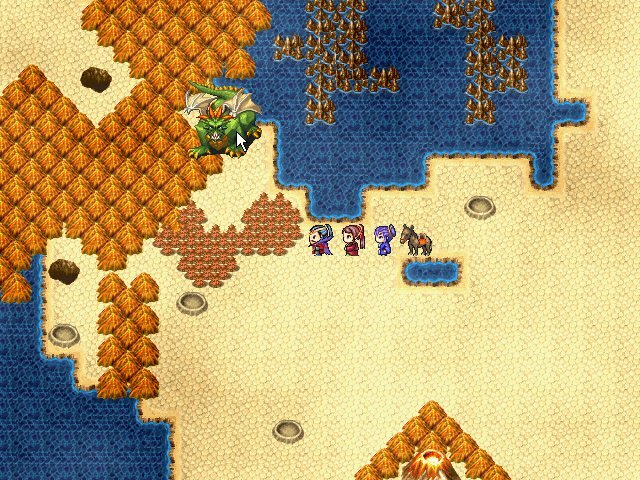 Even many classic role-playing games such as Final Fantasy 3 and Chrono Trigger have been ported to the iPhone. Giving fans that retro, 16-bit RPG feel, but with a fresh, new take is Aldorlea’s Book of Legends. The game follows the exploits of Jordan Zatarista, a rude, sarcastic vagabond charged with preventing a demon from being reborn into the world. However, the plan quickly goes wrong, and what started as a quick and easy task turns into an all-out race to save the world. The land of Book of Legends has a medieval Japanese feel, and the characters are drawn anime-style. Touches such as komainu lion statues and torii gates, along with an East Asian-influenced soundtrack, complete the feudal Nippon mood. However, there are still some western designs. The names of some characters, the presence of crucifixes, and pentagrams, add a European flavor. Along Jordan’s path, he will pick up various companions to help him on his quest. Some of these are necessary to the continuation of the plot, while others are optional. They come in the typical RPG classes: combat fighters, healers, mages, and hybrids. There are also animal companions that will join Jordan, as he has the odd ability to talk to them. They typically have limited abilities, armor, and weapon choices, but are good for rounding out his team, especially early in the game and in certain parts where it’s necessary to make two teams. 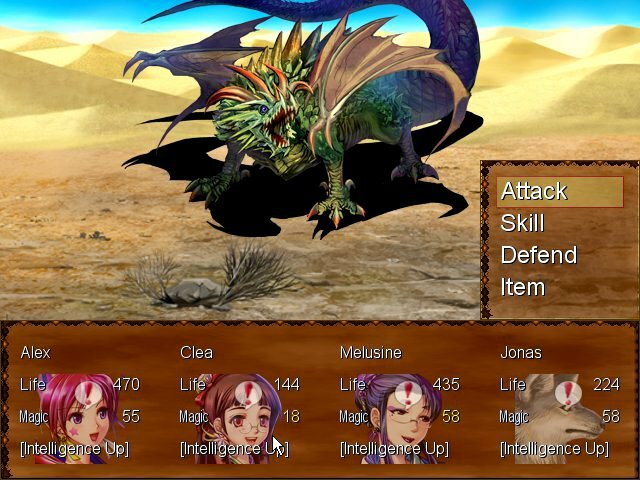 The combat and statistics in Book of Legends are traditional RPG style. There’s life points, magic points, and various stats for combat and magic. Magic comes in various style, with certain benefits and weakness. Some enemies are harder to kill with physical attacks and physical-based magic. While there’s a wide variety of enemies in the game, they all have static images in combat, and the combat animations are very simple. While in combat, you can choose for each character in your party to either fight, use a skill (which means magic), defend themselves to take less damage, or use an item. The high point of this game is the protagonist, Jordan. Too often, the main heroes in RPG’s tend to be these unbelievably noble, just, and sometimes pompous do-gooders, a little too convinced of the loftiness of the goals to come off as real. By making Jordan a self-centered Lothario, it prevents the game from getting too full of itself, and adds a touch of humor to the game. It also allows the game to poke fun at some of the cliches and stereotypes of the genre. The pace of the game and leveling up is never overly difficult, but it can be less than smooth sometimes. You’ll come out of a major boss battle feeling like you easily beat him, and then the next area will be much more difficult. This is a game that requires some grinding to be able to beat each boss. The game does suffer from some stilted, unnatural writing that doesn’t come off like normal speech. While it’s understandable that a game of this nature is not going to be a graphics bonanza (and quite frankly, shouldn’t be), it would be nice if it was peppered with some more true cut sequences after boss battles and not just extended text. There’s also a few typos. Overall, Book of Legends is a fun bit of retro gaming that neither gets bogged down in nostalgia nor takes itself too seriously. If you’re looking for a good, if not great, reminder of the golden age of RPG’s without replaying Phantasy Star 2 for the millionth time, Book of Legends is worth a play.